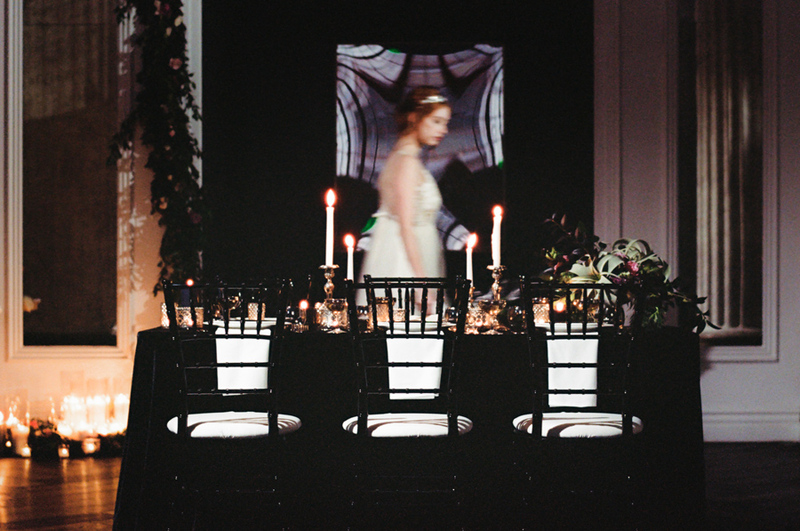 Now that Halloween is almost here, we’d love to dedicate an article for our dark theme-loving brides. We’ve compiled our dark linens and styles from ou dark styled shoots we collaborated in to give you some inspirations. Now who said dark colors aren’t for weddings? They actually are! If you decide to have a dark-themed wedding, start it off early by having a dark color scheme engagement photo shoot session as well. 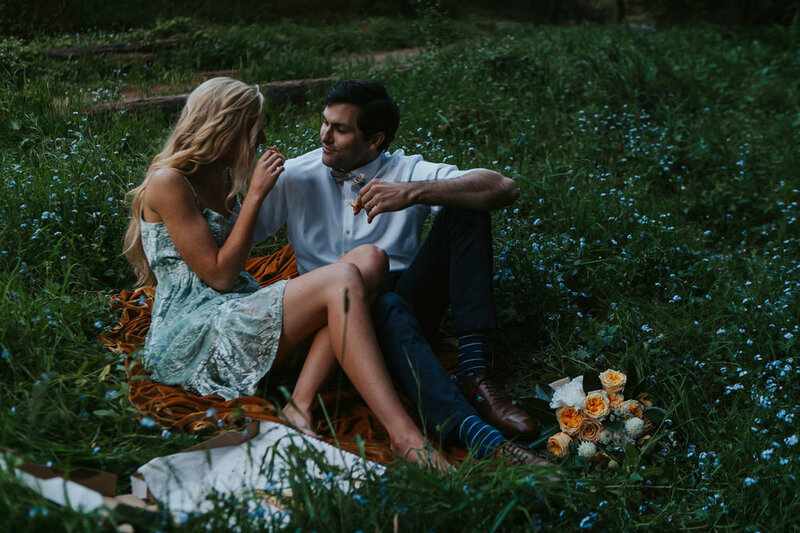 This shoot will start off the dark mood that you are trying to achieve. A #WeddingProTip that we wanna share with you when it comes to photo shoots is to be creative in playing around with colors. A dark photo shoot does not necessarily mean everything needs to be black or dark. For example is the photo above where we used our gold mustard velvet linen as a prop in order to complement the dark surroundings and blue highlights. To prepare your guests for a one of a kind wedding, make sure your invitations are cohesive with the theme We always say that even the smallest details matter and it’s important that every aspect of your wedding is well-coordinated. Black invitations often go with white calligraphy and flowers but pastel pink works great with black too! Oooh, creepy.. kidding! Most people get scared of a black theme when it come to receptions. Well, with the right linens and table ware, a black theme will actually bring tons of elegance and will make all the details pop. 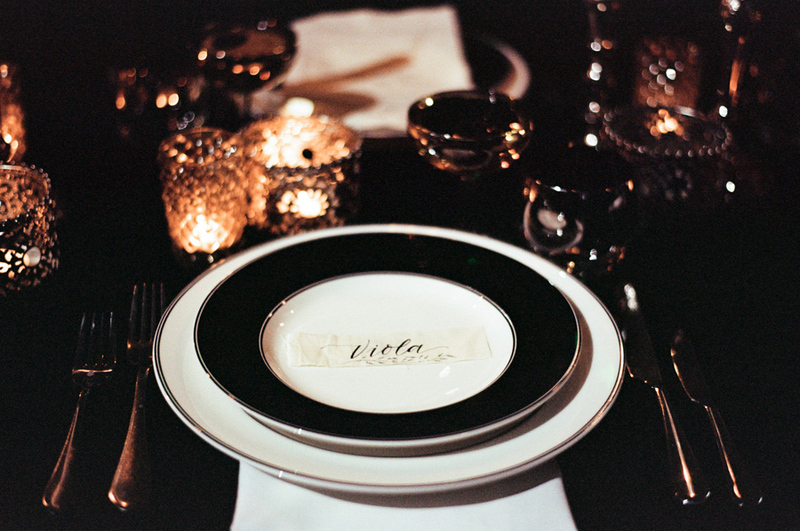 With black linens, all the gold, crystal, white, and all the colors you’ll put on the table will be emphasized. The food will also become an attraction since its beauty will also stand out in a black linen. .. or you can go all out by adding colorful flowers and designs! The linen’s texture is also important and we recommend having a velvet-textured linen for added depth and style. Our velvet linens featured on the photo are all at our website and is available for all your table needs. Once you’re done, you can enjoy that edgy, unique, and elegant dark-themed wedding that you’ve been dreaming of! Let us help you with your wedding goals! Send us a message and we’ll transform your wedding ideas into reality.